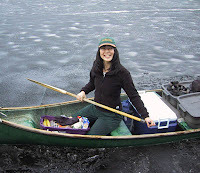 It's now time to announce our winners of our "Congratulations Debbie Ohi Contest!" The winner of CHICKEN, PIG, COW by Ruth Ohi is Tracy Mangold! 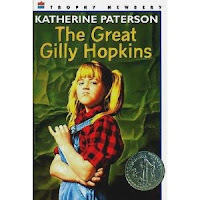 And the winner of THE GREAT GILLY HOPKINS by Katherine Patterson is Bish! We will be contacting you shortly for your shipping addresses. Thanks to everyone who came and partied with us. We sure had fun. I don't think of myself as a risk-taker. I don't like roller coasters, I get anxious driving in new situations, and my idea of fun is to curl up under a cozy blanket with a good book. But when I'm revising, taking risks is almost a requirement if I want to make my story stronger. Cutting out good writing. It's scary, but sometimes parts of my book where I really loved the writing have to go. It feels like I'm taking a huge chance, not knowing if whatever I replace it with will be better. I can only do it if I comfort myself with the thought that all that good writing is in another version of the file and I can get it back if I need it. Changing the beginning. Messing with the opening paragraph (actually, the whole first chapter) makes me nervous, especially when my crit partners didn't find much wrong with it. Since the first chapter sets the tone for the whole novel, these changes spill over into later chapters, gathering momentum, and I soon find that more and more changes are needed. Aack! Taking out drama. I tend to throw a lot of obstacles at my protagonist, sometimes several in one chapter. I'm learning that too much drama doesn't give the reader a clear emotion to focus on. Cutting out action still worries me. Will the story be exciting enough? Will it hold my reader's attention? Should I risk it? I have to start small, reminding myself that it doesn't hurt to try. I can always put it back the way it was if it doesn't work out. What's few more hours of writing, anyway? It's hard work, but I'm learning to take more risks as a writer. One of the bonuses is that it stretches my mind in entirely new directions. I've stumbled onto a few great ideas which I know will improve the story. What risks have you taken lately in your writing? It’s party time over here at the MiGs and we’re hoping you’ll join us. The MiGs have some fantastic news! 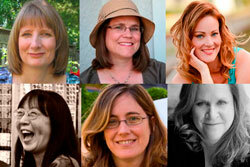 Our very own Debbie Ridpath Ohi will be illustrating I’M BORED by Michael Ian Black from Simon & Schuster 2012!!!!! This is a long time in coming for Debbie and well deserved. We know she’s talented and amazing. We’re just glad the rest of the world is finally figuring it out. Here's the full story. AND with every party, we’re giving away presents to all of Debbie’s fans. 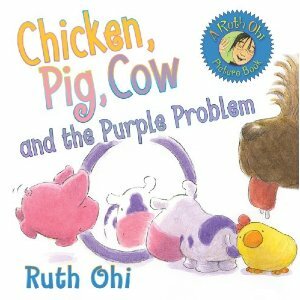 We asked Debbie what her favorite picture book was and she said CHICKEN, PIG, COW by Ruth Ohi (Annick Press). So that’s what we’re giving away. 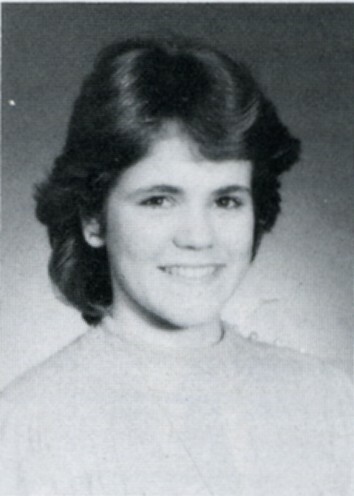 All you have to do is fill in the form and leave a congratulation comment for Debbie by March 26th. If you’re a follower of our blog, you get an extra point! As I mentioned in my previous post, there often seems to be an aura of mystery around the whole concept of voice in writing. I've heard some say it can't really be defined, that a writer with a middle grade voice can't write YA (and vice versa). That having "a strong voice" is necessary for some genres but not others. That you can't change your voice so therefore it's important to find what your own writing voice IS so you can write the appropriate type of material. I've been wrestling over how to approaching this series of posts and I've decided that I'm going to start out by looking at how different writers approach voice. Stephen Pressfield is an American screenplay writer and author of historical fiction. His blog post, The Writer's Voice, was fascinating. "The critical fact to remember is that the writer’s voice is artificial. It’s an act of artifice, crafted by the professional to achieve a specific effect in a work of the imagination. It’s not the “real” writer’s voice and if you try to find your own, you’ll drive yourself crazy. Because “you” don’t really exist. I don’t either, no matter how convincingly anybody tells us that we do or how much we choose to believe it. But that’s a subject for another chapter." "The writer’s voice casts a spell. The right voice makes the work accessible; it gives us the tone and point of view that best illuminate the material and make it shine." "To me the trick is getting your own ego out of the way. What voice does the material want? Find that. You the writer are not there to impose “your” voice on the material. Your job is to surrender to the material–and allow it to tell you what voice it wants in order to tell itself." The writer’s voice (or director’s, choreographer’s, photographer’s, entrepreneur’s) arises from the material itself and acts in service to that material. It can, and often does, change from book to book, dance to dance, album to album, business venture to business venture. This is encouraging news for someone like me. I've been told that my novels are written with a strong middle grade voice. While this is fine for my middle grade novels, what if I want to write YA? And what about specifics? What's the best way to change voice? You can read Stephen Pressfield's full post on The Writer's Voice. Along with Debbie, I’ve recently committed myself to learning more about the elusive thing known as “voice.” This began because, like my critique buddy, I’ve been repeatedly told I have a middle grade voice. I take that as a great compliment and embrace it. But (there’s always a “but” isn’t there?) I have an idea for a YA book and would really like to expand my skills and nail the YA voice. Reminisce about my first, high school love. Fortunately, I married the guy so this has been easy for me! I’ve been asking myself: What made me fall in love with him? What kinds of things did we do (including those things we *don’t* tell our three kids about - ha ha)? What did we fight about? What dreams did we have as a couple? Listen to the music I listened to in high school. It’s amazing how hearing Melloncamp’s “Jack and Diane” or Prince’s “DMSR” takes me right, smack back sixteen. Pay closer attention to my older teenagers. Yes, they’re boys but they have girl friends and girlfriends. I eavesdrop when I can on their conversations and ask about who’s posting what on Facebook etc. And I’m trying to remember what it was like to learn to drive and decide on a college - things very much on their minds these days. Keep in touch with high school friends. Awhile ago, a former classmate found me via Facebook. So now I can keep in touch with her as well as other classmates. Any other ideas for reconnecting with your inner teenager you’d like to share?